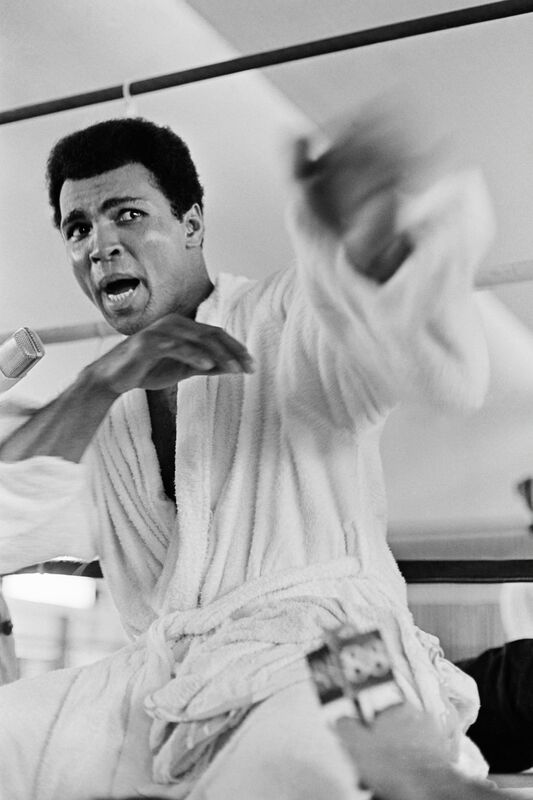 Tragically, Muhammad Ali died Friday evening at the age of 74. The legendary boxer leaves behind a legacy of superior sportsmanship, humanitarian work, and one hilarious and iconic appearance on the classic sitcom Diff'rent Strokes. Ali made just two scripted television appearances in his career, one was in Diff'rent Strokes, and the other was in the 1979 television movie Freedom Road. It could be the rarity of Ali's cameos, or just his amazing comedic timing, but Ali's Diff'rent Strokes episode is unforgettable. While you will be hard-pressed to find any young people who have seen Diff'rent Strokes today, the series was hugely important in the '70s and '80s. The series aired from 1978-1986 on NBC and ABC, and proved to be a major hit during its run. The comedy revolved around Arnold and Willis Jackson, two black boys from Harlem who are adopted after their mother's death by a white family living on Park Avenue. The blended family was downright daring for the era and the loving nature of the family was inspiring for the generation of kids who grew up with the sitcom. In the Season 2 episode "Arnold's Hero," Arnold, played by Gary Coleman, wants nothing more than to meet his hero, The Champ himself Muhammad Ali. When Arnold's father, Phillip, and Phillip's priest friend cannot make Arnold's wish come true, his brother and sister cook up an elaborate story to get Ali to visit Arnold. They tell Ali that Arnold is dying and his final wish is to meet his hero. Ali believes the kids' story, and agrees to visit Arnold leading to some classic sitcom misunderstandings. Since Ali is guest-starring as himself, he gets to play the absurdity of the setup from his own point of view and the results are the stuff classic sitcom moments are made of. The best moment may very well be the interaction between Ali and the enthusiastic priest who has no idea the kids have told Ali Arnold is dying. The look on Ali's face when he tells the priest he imagines he must go through this sort of thing a lot, and the priest responds, "Yes, but I'm getting so that I enjoy it," is priceless. For Ali, it is as if he has wandered into a madhouse and the feeling only intensifies when he gets upstairs to find the supposedly dying Arnold cracking a Joe Louis joke. When Ali finally realizes he has been had, he tells Arnold, "You know something, Arnold, I've been north and I've been south, but now I have finally met someone with my kind of mouth." It's a perfect moment, one that brought a lot of joy to Diff'rent Strokes fans in the '70s and will still make you smile today. The sitcom may be dated, and laugh track driven, but Diff'rent Strokes left its mark on popular culture just like Ali did. Seeing the two collide is both an artifact of an era of television past, and a reminder that a true great like Ali was not afraid to laugh at himself every now and then.